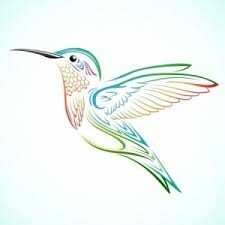 Last year Google’s Hummingbird update to its search engine caused scant comment upon delivery. Why? Well, it turned out that Google had pre-released it a month earlier without telling anyone. Bizarrely, no one noticed. So, what does it mean for the future of search?The Hummingbird update’s chief aim is to ensure that a user’s search results are the most relevant to their search query. It also reduces reliance on back-links and augments user intent in search results. Furthermore, voice search, contextual search and location-based results are all part of its functioning. This updated version further paves the way for wearable technologies, like Google Glass and the iWatch, which will rely heavily on voice activated search and voice recognition software to ensure that that technologies are usable. The end point, it seems like, will be a fully functioning semantic web, one where user intent reigns. Along with a further reliance on Schema and the Google Knowledge Graph, the web is becoming more manageable for search engines, enabling them to sift through the data and pull up highly relevant results based on user searches. The semantic web will no doubt drive new technologies and new interfaces, such as the iWatch, and will move search towards a revolutionary new future, one that will look at lot different to what it does today. What will search look like in the future? If Google’s Hummingbird update is an accurate auger of the future of search, then relevant content is all that will matter. Tricking the system, for instance, will be a lot harder (it’s a lot harder to get Facebook likes, even if you do have a lot of friends). The way user information for search is gathered will change too. For a long time now Google+ has been running a kind of clandestine war of information; Google wants your information to relate heavily to its searches, to make your experience better, but in the same way it wants you to want to give your private information over, and this is Google+ battleground. The product has long been a social media service that almost made it, not quite a non-starter, but certainly nothing for Mark Zuckerberg to worry about. However, with growing insistence Google+ wants you sign in to every compatible service (YouTube, Google Local, Picasa, etc), ensuring that the information you leave feeds-back into their system to add to their search data. Google+ paves the way for this kind of integrated, personal search, where the search will be specific to you because of the data you’ve given over at some point to social media platforms. For semantic search to work there necessarily has to be some type of localised, personal data, either from your mobile handset, or through logging on to a simulacrum of Google+. Conversational searches, or wh-sentence searches, such as “where is the nearest apple shop?” requires an investiture of information on the users behalf, so that the return search can optimise for the apposite physical store. We can already see this gathering of information being used by the other two biggest social media networks, Facebook and Twitter. Advertisers can specify age, gender, location, employment, education, what the user likes, who they follow, a specific network of followers, or other ranges and scales, upon which to target their adverts. That’s a lot of private data mixed in with marketing demographics. While we remain uncertain about the future of individual privacy, there can be no doubt that just as the semantic web requires that data, and as new technology begins to depend upon the semantic web much more, the need for search providers to retain that data will increase. Capture the changes in Google search before they begin impacting upon your business! Get in touch today to learn how video can radically focus your online marketing towards semantic search. Email us by clicking on the link, or alternatively follow us on Twitter for a direct response. You can also follow our blog through our RSS feed to hear more about the changes in search and how it will affect you. We look forward to hearing from you!